Media and entertainment companies are operating from a new playbook. Innovative technologies, expanded distribution, limitless content and fragmented audiences have transformed the media landscape and disrupted traditional business models. At this one-day conference, executives focusing on the entire ecosystem, from content creation to monetization, will deliver new ideas and reveal opportunities that will drive the future of the industry. Register now to stay on the pulse of what’s next! 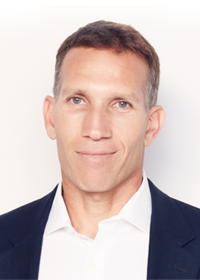 Conference: 9 a.m. - 5 p.m.
Networking Reception: 5 - 7 p.m.
Ynon is Executive Chairman and CEO of Maker Studios, a next generation media company and the world’s largest provider of short form online video content targeting millienials.